Gabriel Fauré’s Second Piano Quartet is Romantic music writ bold, though we don’t usually associate such dramatic music with him. And so it may strike the listener that the present Quartet, composed in the same year as his ethereal Requiem, has the muscular scope and feel more like the piano quartets of Johannes Brahms, who was eight years Fauré’s senior. It is also darker in mood and more complex than his First Piano Quartet. Fauré, an accomplished pianist, played at the 1887 premiere in Paris. Not surprisingly he had composed a juicy part for himself, with the piano being one of two voices in the work that counterbalance the three strings together, rather than being one of four equal partners. The opening movement hurtles into the music with amazing passion—a passion that carries into the Scherzo, with strong string pizzicati accompanying the challenging piano part. About the poetic third movement, Adagio non troppo, the composer wrote: “I recalled the peal of bells we used to hear of an evening… whenever the wind blew from the west… It often happens…that some external thing plunges us into thoughts that are so imprecise, they’re not really thoughts at all…Perhaps it’s a desire for something beyond what actually exists; and there, music is very much at home.” The finale echoes the tempestuous drive of the first movement, and a dazzling coda brings the Quartet home in a blaze of G Major glory. It is ironic, if not puzzling, that this Quartet with its Germanic heft was premiered at the Société Nationale de Musique, which had been founded by Camille Saint-Saëns and other French composers to be a place where French music could be promoted and performed to counteract the power and influence of German (read Wagnerian) music; and further, that Fauré dedicated it the Hans von Bülow (Wagner champion, whose wife Cosima carried on an affair with Wagner). Double bassist and composer David J. Grossman enjoys a multifaceted musical career on both the East and West Coasts — as a bassist in the New York Philharmonic (having joined in spring 2000 as its youngest member) and as newly appointed principal bass of the Los Angeles Chamber Orchestra. As a soloist and clinician, Mr. Grossman has given recitals and master classes at prestigious venues and music schools across the country, including the Boston Conservatory, Yale School of Music, Manhattan School of Music, The Hartt School, Penn State University, and the New York Summer Music Festival. He has released two albums — one classical and one jazz — titled The Bass of Both Worlds, available at davidjgrossman.com. Mr. Grossman is also an ardent educator. He is as a member of the double bass faculty of the Manhattan School of Music, and he joined the Mannes School of Music faculty in fall 2017. Also a passionate chamber musician, he performs in the New York Philharmonic Ensembles series at Merkin Concert Hall and has appeared at 92nd Street Y and with The Chamber Music Society of Lincoln Center. In the field of jazz, Mr. Grossman was a member of the Marcus Roberts Trio and has performed with Wynton Marsalis, among many others. As a composer, David J. Grossman’s compositions include Mood Swings for trombone and double bass, written for New York Philharmonic Principal Trombone Joseph Alessi; Fantasy on “Shall We Gather at the River?”, available on former New York Philharmonic English Horn Thomas Stacy’s recording Plaintive Melody; and two early compositions, Swing Quartet and String Quintet No. 1, which were premiered by The Chamber Music Society of Lincoln Center. Jerusalem-born pianist and conductor Benjamin Hochman’s eloquent and virtuosic performances blend artistic bravura with poetic interpretation. Winner of the 2011 Avery Fisher Career Grant, Mr. Hochman has established an international musical presence through concerts with the New York and Los Angeles Philharmonics; the Chicago, Pittsburgh, Houston, Seattle, San Francisco, and Vancouver symphony orchestras; Prague Philharmonia and Istanbul State Orchestra; and his Carnegie Hall debut with the Israel Philharmonic Orchestra. A graduate of The Juilliard School’s conducting program, where he studied with fomer New York Philharmonic Music Director Alan Gilbert, he also served as musical assistant to Louis Langrée at the 2016 Mostly Mozart Festival. 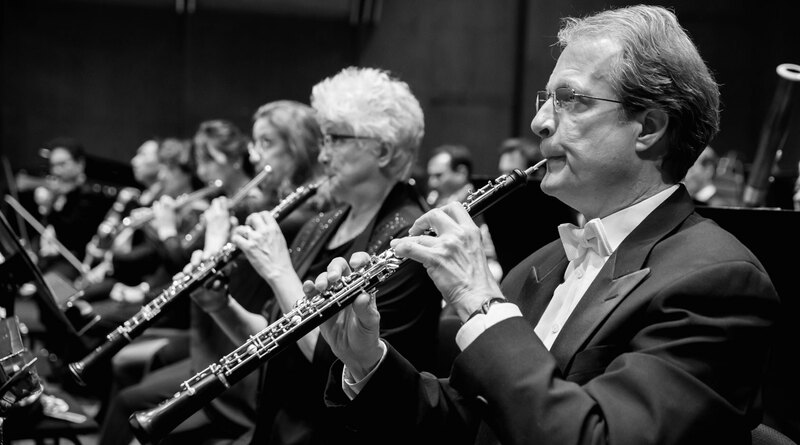 Recent and upcoming guest conducting appearances include the Orlando Philharmonic, Santa Fe Pro Musica, and The Orchestra Now. He is founder and music director of the Roosevelt Island Orchestra in New York City. Benjamin Hochman’s latest album on Avie Records, Variations, was named by The New York Times one of the Best Classical Music Recordings of 2015. Currently on the piano faculty of Bard College Conservatory of Music, Mr. Hochman is a Steinway Artist. 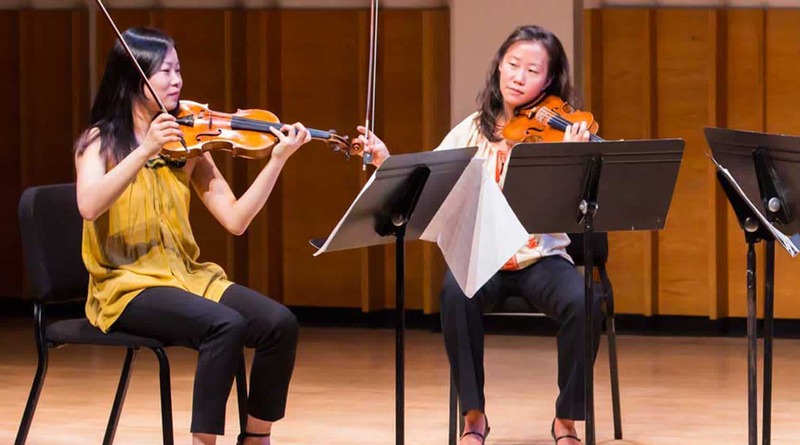 Violist Dorian Rence is a graduate of The Curtis Institute of Music in Philadelphia, where she studied with Max Aronoff and Joseph De Pasquale. At the completion of her studies, in 1976, she joined the New York Philharmonic. She has been a participant at the Marlboro, Arcady, and Marland music festivals. Ms. Rence has performed extensively as a chamber musician, playing regularly with the Philharmonic Ensembles and the Hofstra Quartet. 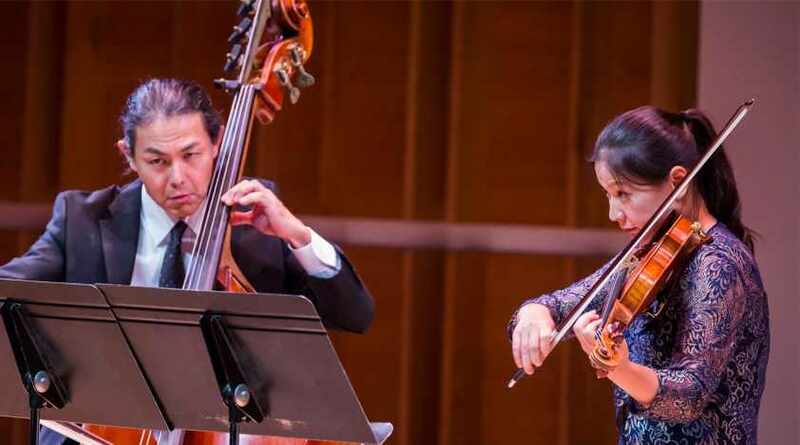 She has appeared as soloist with the Oklahoma City Symphony, The Curtis Institute of Music Orchestra, the Ridgefield Symphony, the Endymion Ensemble, and the North Arkansas Symphony Orchestra..
Chinese-born cellist Qiang Tu enjoys a multi-faceted career as a performer, teacher, and advocate for classical music. 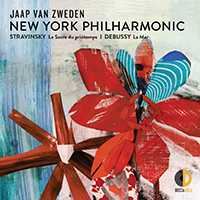 Now in his third decade as a member of the New York Philharmonic, he has also concertized as a soloist, recitalist, and chamber musician in Australia, Belgium, China, France, Germany, Italy, Japan, South Korea, Switzerland, Taiwan, and the United Kingdom. In the United States he has performed at major venues in New York, Chicago, Los Angeles, St. Louis, Honolulu, and Princeton. 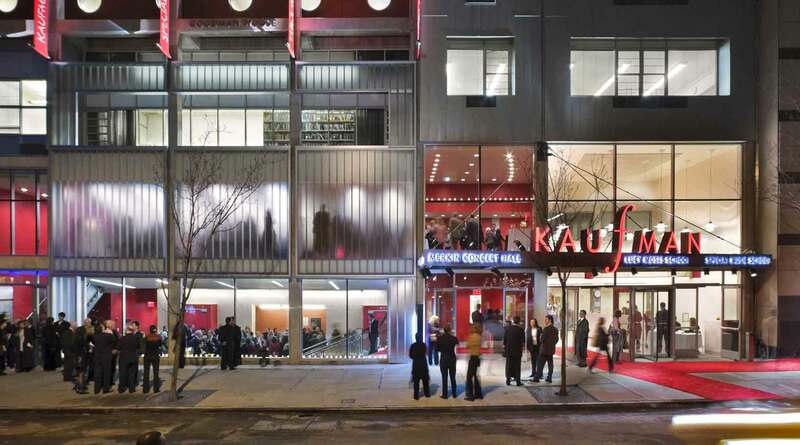 He has shared the stage with numerous distinguished artists including pianists Garrick Ohlsson, Jean-Yves Thibaudet, and Lukas Foss; former New York Philharmonic Concertmaster Glenn Dicterow; and former Principal Clarinet Stanley Drucker. As a recording artist, Mr. Tu has released multiple solo albums on the China Record Corporation label and chamber music recordings on the Bridge Records, Cala Records, and EMI labels. A dedicated teacher, he is a member of the orchestral performance faculty at the Manhattan School of Music; early in his career he taught at the Beijing Central Conservatory. Qiang Tu was raised in a musical family and began cello studies with his father, Zeguang Tu. He holds a bachelor of arts degree from Beijing Central Conservatory and a master of music degree from Rutgers University. 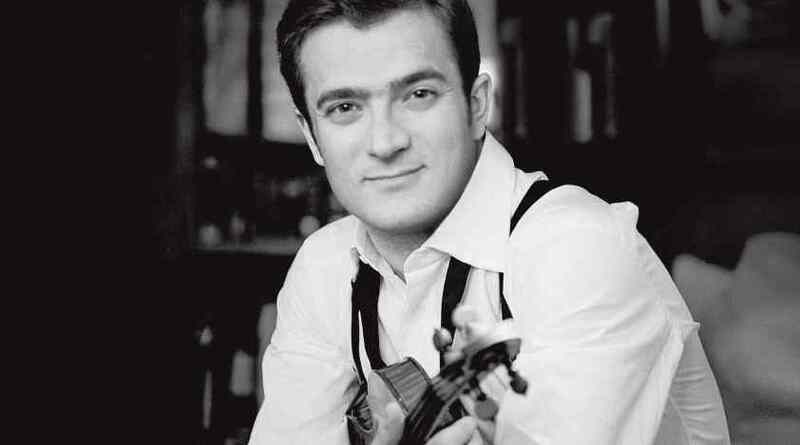 He is an alumnus of the Music Academy of the West, now a partner in the New York Philharmonic Global Academy. His major cello teachers have included Bernard Greenhouse, Zara Nelsova, and Paul Tortelier. When not at work Mr. Tu is a gourmet chef and enjoys the study of rare Chinese art.